Bright gold Color Scene Series trophies have a full-color sport design, an "All-Star" trophy figure, and black genuine marble base. Approximately 12.5" tall. Hulking "Monster" resin trophies with fun activity themes. 6.75" tall. 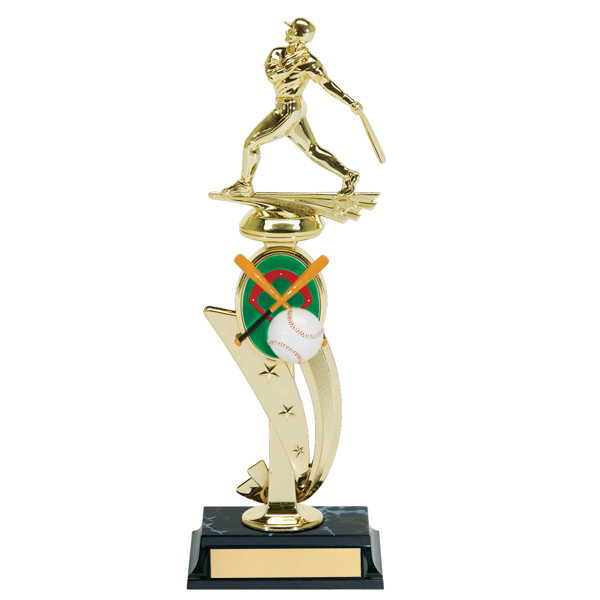 Bright Gold Twisted Sport series figures have a white genuine marble base. 6" tall.